Praying God’s Word has been transformational to my own prayer life and my walk with Christ. In times of darkness, the Lord comforted me through His Word. He showed me glimpses of Himself that I had not seen before. He walked through the valley of the shadow of death with me. In the darkness, He was there. 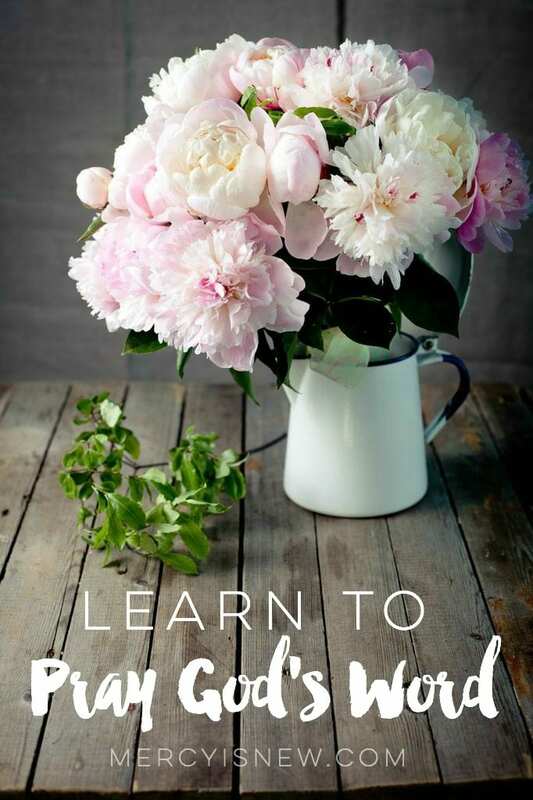 This short ebook is like a little guide where I express how the Lord has taught me personally to pray His Word. There is no magic to this. You don’t have to be super spiritual. Praying the Scriptures is for the weak and broken, like me, who often don’t have the words to say. Praying the Scriptures is for the desperate, like me, who need to feel the presence of the Lord in the midst of the darkness. Read all my posts on praying God’s Word. 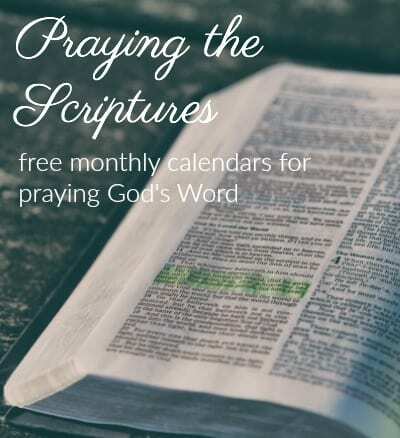 Pray the Scriptures with us daily by printing off your FREE calendar of verses for each month! 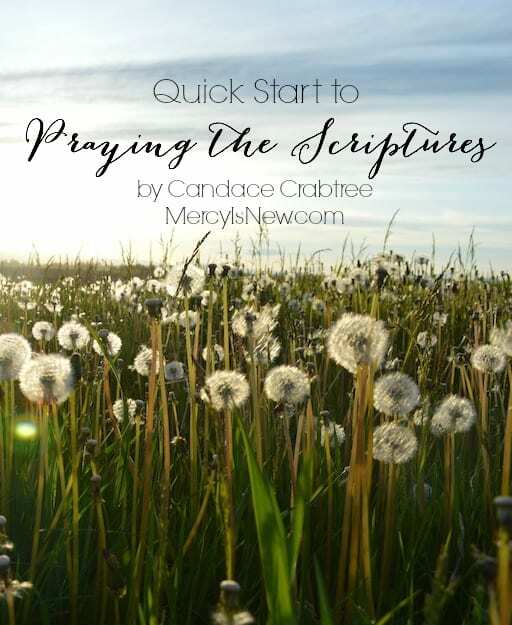 A short ebook along with a few printables will help you to get started with praying God’s Word! Read more about what this free PDF includes here. When you subscribe to His Mercy Is New you get this ebook FREE. About 1 week after you receive Quick Start to Praying The Scriptures, you can expect another little goodie straight to your inbox! The Psalms have long been my favorite book of the Bible. To read the cries of David and see his despair…knowing he was called a “man after God’s own heart” AND he struggled? That gives me such hope and such assurance. 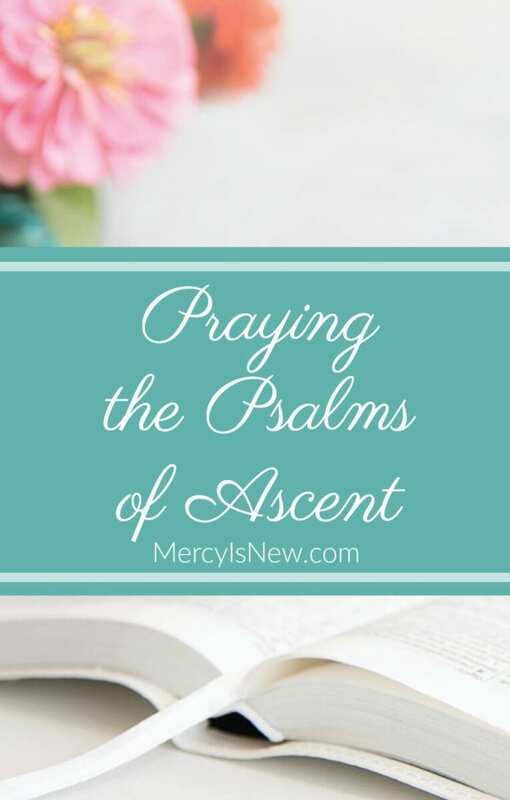 Spend 30 days praying a different Psalm each day with this free ebook! Thank you for subscribing! When you subscribe, you will receive an email that will have a LINK for you to come and download your free ebook! 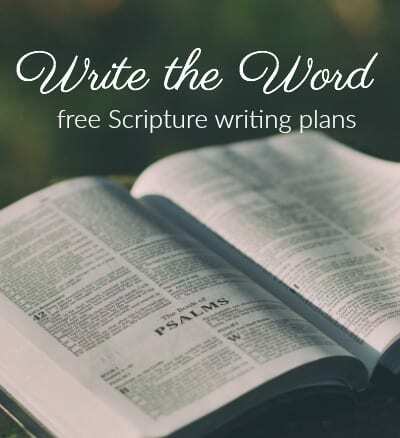 After you receive Quick Start to Praying the Scriptures, you will periodically receive more freebies to your email. I’m so thankful for my subscribers, so I have put together these freebies just for you! Praying blessings over each of you. You will receive 1 email each time I post to the blog. Special Offers: You may at some times receive special offers or sales that I have been made aware of. This will happen rarely and will only be items that I can wholeheartedly recommend. I will never sell or give away your email address. I will never send junk or spam mail. Everything I share about on my blog is something I’ve used and recommend myself. You can expect the above mentioned FREEBIES when you subscribe!